Mueller’s New Indictment — Do the Feds Take Us for Idiots?! 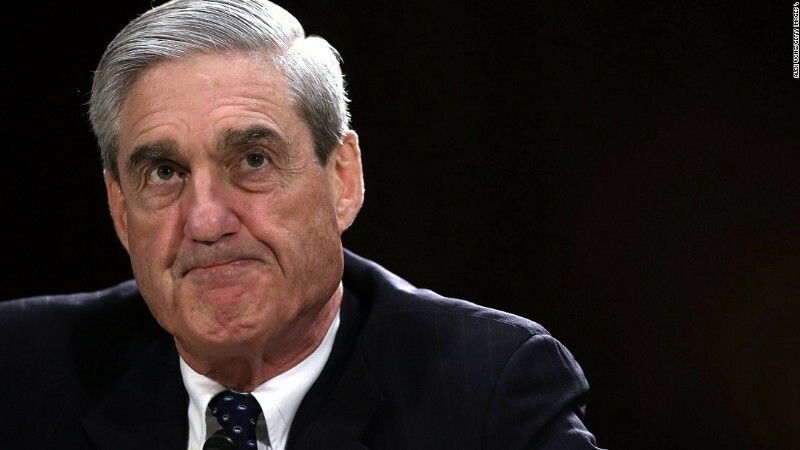 Mueller’s New Indictment — Do the Feds Take Us for Idiots?! After failed attempts to transfer the stolen documents starting in late June 2106, on or about July 14th, 2016, the Conspirators, posing as Guccifer 2.0, sent Organization 1 [Wikileaks] an email with an attachment titled “wk dnc link1.txt.gpg.” The Conspirators explained to Organization 1 that the encrypted file contained instructions on how to access an online archive of stolen DNC documents. On or about July 18, 2016, Organization 1 confirmed it had “the 1 Gb or so archive” and would make a release of the stolen documents “this week”. First, how could Wikileaks have announced their intention to release these documents on June 12th if they didn’t even have the documents until after July 14th? Do the Feds have difficulty in grasping the linearity of time? Do they need to do some brushing up on the Calendar? Do they think that Wikileaks is psychic? Of course, if we want to give Mueller the benefit of the doubt, we could postulate that, prior to June 12th, G2.0 and Assange had a completely undocumented contact (not mentioned in the Mueller indictment) in which G2.0 promised to supply DNC emails to Wikileaks. But that is credible only if you presume that, after hearing from an unknown entity offering documents which he had not seen or verified, Julian would be such a schlock journalist that he would publicly promise to release those documents. Anyone who could believe that doesn’t have a clue as to who Assange is — his reputation for publishing only carefully authenticated documents of public significance is pristine. And if Wikileaks had indeed received the documents between July 14th and 18th, how would they have had time to fully verify their accuracy by the date of their release on July 22nd? My recollection is that subsequent release of the Podesta emails was substantially delayed by the need for careful verification. Bear in mind that if a single one of the 20,000 DNC emails Wikileaks released had been shown to be altered, Wikileaks’ spotless reputation for integrity would have been trashed. And if the Feds know about this alleged email and its contents, how is it that they don’t know what date it was sent? In describing Guccifer 2.0, the indictment (p.14) states that “the Conspirators created the online persona Guccifer 2.0 and falsely claimed to be a lone Romanian hacker to undermine the Russian responsibility for the intrusion”. Note how they conveniently omitted the additional pertinent fact that Guccifer 2.0 intentionally added “Russian fingerprints” to the metadata of his first releases — an observation seemingly inconsistent with the claim that he was trying to “undermine Russian responsibility for the intrusion.” Furthermore, if Russian intelligence operatives were in fact responsible for the Wikileaks releases — which Assange and Craig Murray, both far more credible than our Deep State in my judgment, strenuously deny — why would there be any need for the fake G2.0 persona? Whereas G2.0 functions wonderfully as a vehicle for incriminating Russia as the source of the Wikileaks releases — he tells us that he is the Wikileaks source, while leaving behind Russian fingerprints. He first appears just 3 days after Wikileaks announced their up-coming release of Clinton-related emails, and claims to be the hacker who provided them to Wikileaks — without providing any description of them that might have allowed his claim to be validated. Also on that day, he releases a Trump Opposition Research document (imprinted with the “Russian fingerprints”) just a day after Crowdstrike had announced that hackers had stolen this document from the DNC. Except we now know that document was an attachment to Podesta emails, and is NOT from the DNC. It is very reasonable to suspect that G2.0 is in cahoots with Crowdstrike — quite likely a creation of Crowdstrike. Evidently, Crowdstrike claimed that the Trump Opposition Research document had been hacked from the DNC, because they were going to arrange for G2.0 to release it the next day to establish his bone fides as the DNC hacker with Russian fingerprints. Too bad that Crowdstrike got confused about the origin of this document, and thus outed themselves as scammers. Oh what a tangled web we weave…. It gets better: the founder and CEO of Crowdstrike, Shawn Henry, was once Robert Mueller’s deputy for counterintelligence at the FBI. You couldn’t make this stuff up! In regard to the allegation that G2.0 once “slipped up” and operated from a Moscow IP address (https://techcrunch.com/2018/03/22/more-evidence-ties-guccifer-2-0-to-russian-intelligence/), my presumption is that our Deep State or Crowdstrike would have the capacity to fake this. When 95% of the evidence leans one way, and 5% the other, it is smart to go with the 95% unless and until important new evidence emerges. In regard to the ACTUAL source of the DNC emails Wikileaks released — the Feds and the MSM have never told you that, whereas Crowdstrike installed its state-of-the-art Falcon anti-hacking tool on the DNC servers in early May 2016, the final DNC email released by Wikileaks was written on May 25th, about 3 weeks later. A high proportion of the most incriminating DNC emails released by Assange were written AFTER Crowdstrike claimed to be providing protection to their system. So either Crowdstrike’s efforts to protect the DNC were a total screw-up — in which case why should we trust their judgment on cyberissues?- or the emails were LEAKED, NOT HACKED. Which is precisely what Craig Murray and Kim Dotcom have been claiming. There were also files taken from the Democratic Congressional Campaign Committee that were published prior to the election on Guccifer 2.0’s own website. (Is the DCCC collaborating with the DNC in this scam?) This episode has received little attention, and in any case, if the goal of the Russian government was to impede Clinton’s election, why would they care about the DCCC? Who believes Russia would want to elect more Republicans? In any case, if Guccifer 2.0 was indeed the source of these leaks, they weren’t hacked by Russians, so let’s move on. Finally, there is DC Leaks, which, beginning in July of last year has released purloined info on a diverse range of targets, including the former commander of NATO, Senators McCain and Graham, the Soros Foundation, and personal info of 200 Democratic lawmakers. This has received little media commentary, possibly because it is hard to see how this effort was an attempt to influence the election. Nonetheless, the cybersecurity firm ThreatConnect claims that DC Leaks is a front for the hacker group Fancy Bear, which they claim is linked to Russian intelligence. They also think that Guccifer 2.0 is involved. Sounds a lot like the analyses that linked the Guccifer 2.0 and Wikileaks releases to Russian intelligence — and we’ve seen how credible those analyses were. Hence, I do not think that the new indictment supports the claim that the Russian government had a plan to promote Trump’s election by releasing info hacked from Democratic Party websites. In particular, the claims regarding how G2.0 allegedly provided DNC emails to Wikileaks lack any credibility. With respect to the possibility that Russian intelligence operatives might have hacked U.S. government or political offices for informational purposes — U.S. intelligence conducts such hacks routinely against other governments. Wikileaks has released the NSA’s ambitious plan for hacking of the political parties in France (an ally!) in the 2012 election. And Der Spiegel published a comprehensive analysis of NSA’s Office of Targeted Tailored Access Operations (TAO), the world’s chief hacking operation. Amid all the manufactured furor regarding alleged Russian cyberattacks, when has the MSM informed the American public about this small detail? But in any case you can be sure that Mueller’s new indictment will fulfill its intended purpose as anti-Russian propaganda. Since those indicted will never come to trial, he will have no need to prove his assertions. (As we’ve seen, Mueller was wholly unprepared to defend his previous indictment of Russians in court — with its preposterous assertion that the goal of the Internet Research Agency, a private company which earns revenue by selling ads on the widely varied websites it has created, was to “sow discord in the US political system”.) And you can count on the MSM to function as stenographers for his allegations, and to simply ignore any facts that are inconsistent with them. You can also bet that much of the public is unaware that a Grand Jury is not allowed to hear any counterarguments, and hence is nothing like a trial — and that the jurors themselves doubtless were bamboozled with technical jargon that they couldn’t understand. The timing of the indictment is of course quite strategic — released right before Trump’s summit with Putin, there will be no time for critiques of the indictments to appear and be digested prior to the meeting; hence, the chances of a successful outcome auguring for peace will be lowered. And how convenient that Assange has been rendered incommunicado just when his response was most crucially needed.